An FAQ with Dr. Charles Brenner: The scientist who uncovered NR’s potential discusses why this nutrient is so unique. How is NR different from the other B3s? In summary, NR is a uniquely valuable form of vitamin B3 that increases NAD, the central regulator of metabolism. Because NAD is under attack in conditions of metabolic stress and aging, we take NR to age better and help cells resist the inevitable stresses of life. Some are proposing that another NAD boosting compound, nicotinamide mononucleotide (NMN), is equal to NR in health benefits. Please explain the difference between NR and NMN. Currently there is no way to compare the health benefits of NMN and NR in humans. Multiple published clinical trials confirm that NR safely and effectively increases NAD in humans. [3-6] So far NMN’s only published trials are in rodents. The molecular difference between NMN and NR is a chemical group called a phosphate. My research group discovered the nicotinamide riboside kinases, NRK1 and NRK2, in 2004. NRK1 and NRK2 put the phosphate onto NR in order to form NMN. Then NMN is converted to NAD. Importantly, the enzymes that make NMN and NAD are inside cells. Compounds like NMN (with one phosphate), NAD (two phosphates), and NADP (three phosphates) cannot get into cells. The largest piece of NAD that can get into cells intact is NR. We and others have shown that NMN and NAD depend on conversion to NR, entry of NR to cells, and subsequent conversion to NMN and NAD inside cells. [2, 8–12] Thus, while there are some papers showing impressive effects of NMN, there’s no reason to go to the expense of putting the phosphate on when cells and tissues have to take the phosphate off in order for these compounds to be effective. Does pterostilbene help NR or are they two separate processes? Would you recommend taking pterostilbene together with Niagen? Currently there is no evidence that pterostilbene adds any benefit to NR, and I cannot recommend its use by people. Pterostilbene is a polyphenolic compound and like many other phytochemicals, it’s an antioxidant in small doses. However, it was shown in human clinical testing that pterostilbene elevates human low density lipoprotein cholesterol (LDL-C) at doses of 100 mg and 250 mg per day. Another company has combined pterostilbene with NR with an assertion that pterostilbene activates sirtuin 1. However, their data show that at 50 mg and 100 mg of pterostilbene per day, their supplement also raises LDL-C. Eating blueberries is fine—and you’ll get plenty of polyphenols from nuts, fruits and vegetables—but based on these observations of elevated LDL, I would not recommend pterostilbene as a supplement. Dr. Charles Brenner is the Roy J. 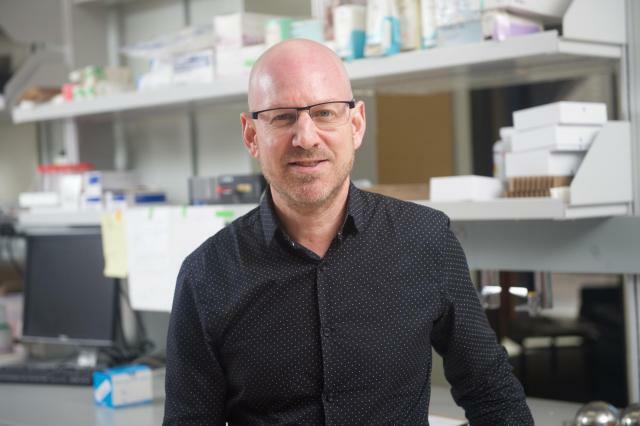 Carver Chair and Head of Biochemistry at the University of Iowa, founding co-director at the Iowa Obesity Initiative, and also serves as the Chief Scientific Advisor to ChromaDex. See his CV.